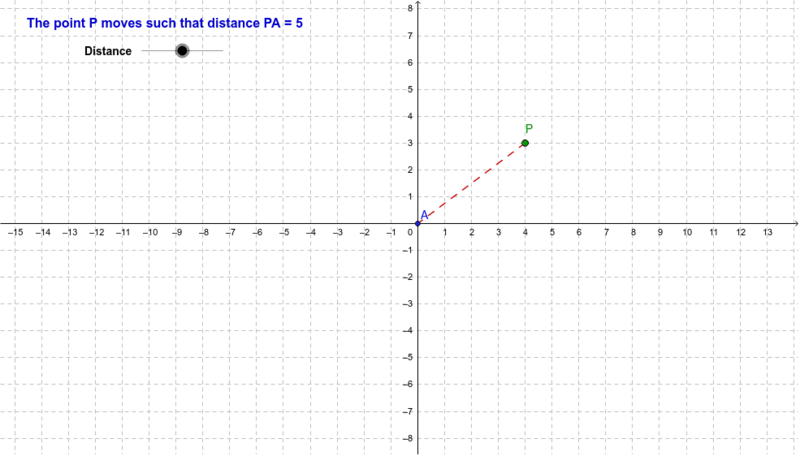 The point P(x, y) moves such that its distance from A is a constant. What shape does the locus trace out? How does the value of P affect the properties of this shape?